We have all seen it on those futuristic films, users flicking through screens of data in mid air, interacting with the computer in 3D, well dream no more. Microsoft’s Windows 10 enables the world’s most advanced holographic computing platform. 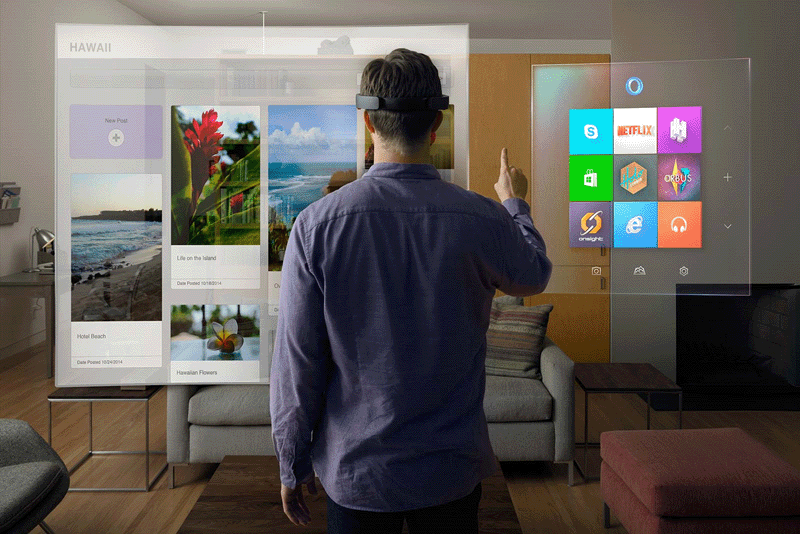 Microsoft’s HoloLens will bring high-definition holograms to life for you. Allowing you to integrate the virtual with your physical places, spaces, and things. solve complex problems and enjoy a whole new array of games and entertainment platforms. Be artistic with a complete new medium to express your creativity. Interact to learn how to do something new. Share your knowledge and ideas precisely and completely interactively. Microsoft HoloLens enables you to bring your ideas to life right before your eyes.